It will now cost new Tesla owners about $15 to make a road trip from Los Angeles to San Francisco when using the company's Supercharging stations. The new pricing applies only to owners who purchase their electric vehicles after this Sunday. Those who bought vehicles before Jan. 15 will continue to receive free charging, the company said. A Tesla powering up at a Supercharger. The company this week announced that its charging costs will vary from state to state and depend on which charging "tier" a driver is using. Tier 1 pricing, which applies to cars charging at or below 60 kW per minute, will cost half as much as cars using Tier 2 charging, which applies to cars charging above 60 kW per minute. In New York, Tier 2 charging will cost 20 cents a minute and in California, it will cost 19 cents. Cars using fast charging or Tier 2 charging can attain about a half a full vehicle charge in 30 minutes -- enough to travel up to 170 miles. Tier 1 pricing also applies anytime your vehicle is sharing Supercharger power with another car. Supercharger pricing information can be viewed on the vehicle's 17-in. touchscreen. Tesla Model S and Model X cars ordered after Jan. 15 will receive 400 kWh (kilowatt-hour) of free Supercharging credits (roughly 1,000 miles) annually on the anniversary of their delivery. 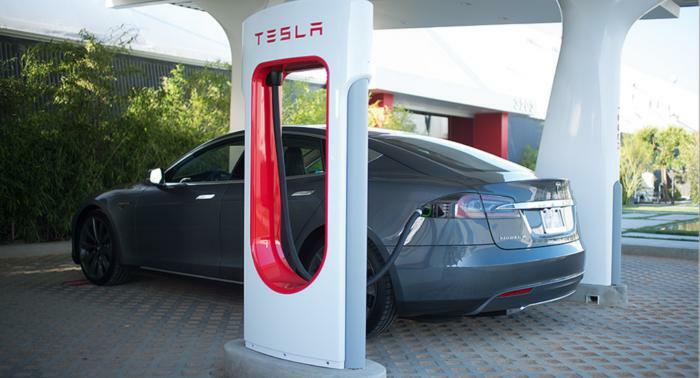 "We carefully considered current Supercharger usage and found that 400 kWh covers the annual long-distance driving needs of the majority of our owners," Tesla said in a blog. The company didn't mention whether buyers of the Model 3 EV, due out in mid-2018, would also receive an annual free charging credit. 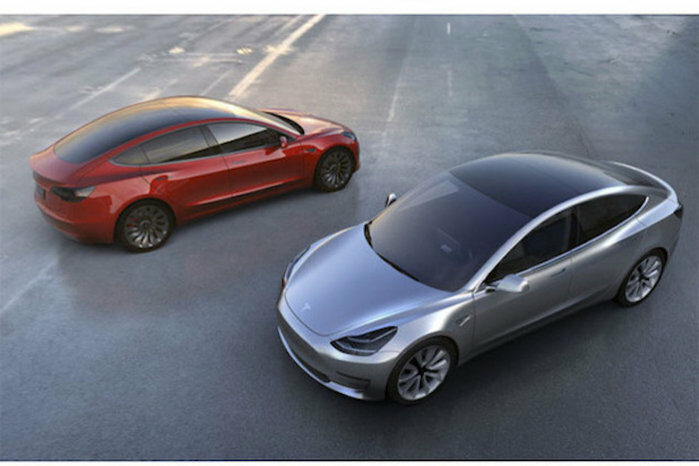 The Model 3 will be Tesla's most affordable EV, with a starting price of about $35,000, and was originally slated to ship at the end of this year. Preorders for it have topped 400,000. In North America, Tesla Supercharging pricing is fixed within each state or province. Internationally, pricing is fixed within each country, Tesla said. The Tesla Model 3 will have a base price of $35,000, which the company hopes will appeal to a broad range of consumers. When fully charged, the 85 kWh Model S sedan has a range of just over 300 miles, depending on road conditions and the speed at which it's driven, according to Tesla. "Where possible, owners are billed per kWh (kilowatt-hour), which is the most fair and simple method. In other areas, we bill for the service per minute," the company explained on its website. The fees for charging could provide Tesla with as much as $175 million in revenue just in this first year, according to Trip Chowdhry, managing director of equity research for Global Equities Research. Chowdhry, who was interviewed by CNN, said Tesla could see as much as $2.6 billion in annual revenues from charging by 2020 when as many as 1.5 million Tesla cars are expected to be on the road. Tesla also offers a charging cost estimator for owners who will primarily charge their vehicles at home. For example, it would take about 10 hours and cost roughly $20.07 to fully charge a Model S at home. In November, Tesla warned its vehicle owners that it would end free charging for customers purchasing new vehicles.